On January 21st, I traveled to Washington, D.C. with several friends and colleagues to participate in the Women’s March on Washington. Taking part in the movement seemed vital, but frankly I was dreading the inconveniences that would also be present: a long late-night bus ride from Albany, large crowds, lack of control in a new situation, etc. Luckily, I couldn’t anticipate all the complications, such as a cancelled bus that resulted in a 10-hour trip in a cramped, sweaty seat on a stretch limousine. At least our vehicle had actual seats, unlike the second limo that carried half our group, including a woman who was 8 months pregnant. 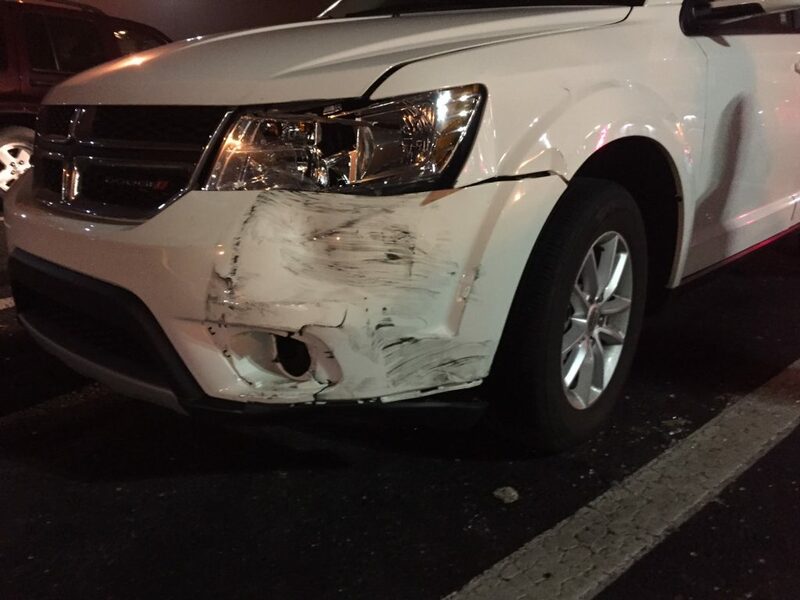 Five of us splurged on a rental car for the drive home, had an accident in New Jersey after hitting a runaway tire, and still overwhelmingly agreed that it was a better decision. From the moment we spilled off the bus and hiked to the march location, the ride down was forgotten. The weather was perfect, the crowds were energetic, and there was intention everywhere. Residents came out of their homes and apartments to thank those walking by for travelling to lending support, which brought chills to many of us. We stood for over an hour at the planned starting point, until word spread that the entire march route was filled with people. It was a swarm really, instead of a march. People drained onto nearby streets like water, taking their messages across the city. 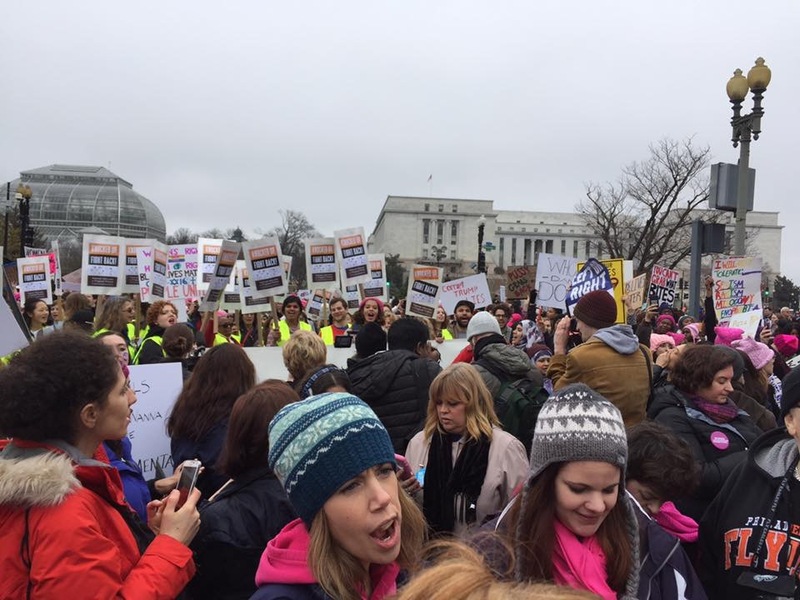 There were signs and chants in support of many causes, including public education, women’s reproductive rights, LGBTQ issues, climate change, black lives mattering, immigration, religious freedom, access to healthcare, and choosing kindness, love, and hope. Many young girls marched, lifted onto parents’ shoulders, or pushed in strollers with their own handmade signs. Older generations were also represented, many touting eye-rolling messages about the necessity of still having to protest these issues. The march was blanketed in controversy almost from the start, with many asking why such an inclusive event was organized by only white promoters (several women of color with activist backgrounds were later sought out for the leadership team). 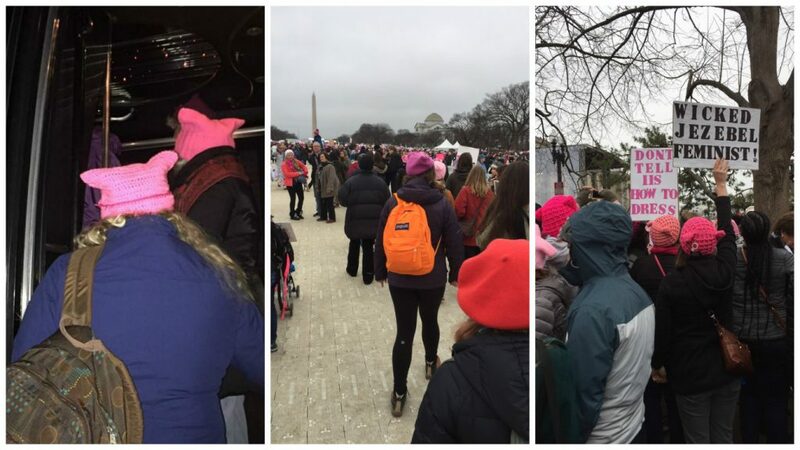 The signature unifying pink hats that humorously sought to “take back” negative verbiage used during the presidential campaign were also considered symbols of a binary gender interpretation of what womanhood means. Reports of zero arrests and positive interaction with law enforcement confirmed the peaceful vibe we experienced in the city during the day, although they could not be separated from issues of privilege innate in a gathering of largely white women. The variety of signs and causes for which attendees advocated was a unifying factor in attracting millions around the world, but has also been criticized as a lack of focus. This is what I believe: it was important to show up. Taking a stand is messy, and not every word or action will come out cleanly. We need to support each other’s causes, even if they don’t affect us directly. We need to value forgiveness, and humility, and curiosity. We need to show up every day, not just on January 21st. And hopefully the sight of the solidarity present that day will lead to continued action when we all return home. represent the official views of Policy Research Associates, Inc.
What a great report! I marched in St Louis with 20,000 and share these reflections. Now, we must follow marching with action!